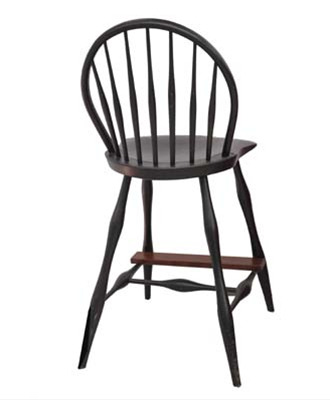 This is a counter height Windsor stool, based on our Classic Bobbin Leg chair design. Lower back, higher seat, cherry footrest, black paint. Seat height can be 23-25". 25" is actually good for a 36" counter.